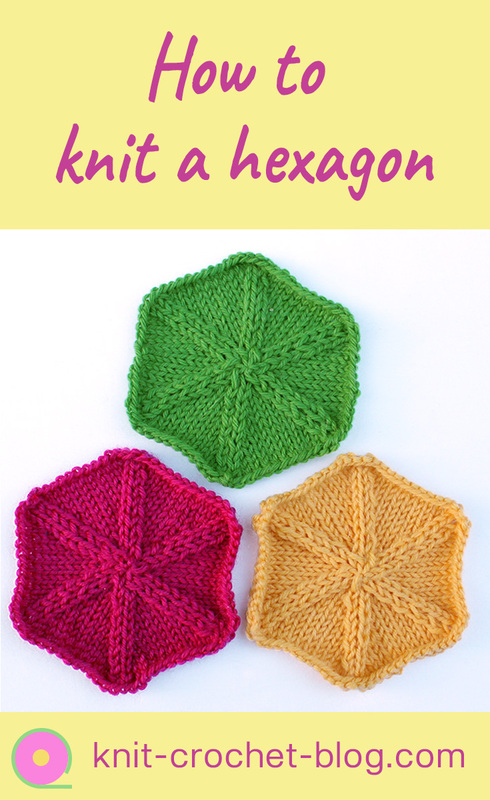 We start to knit on the outside of the hexagon. You need 78 stitches + 1 and then start to decrease. 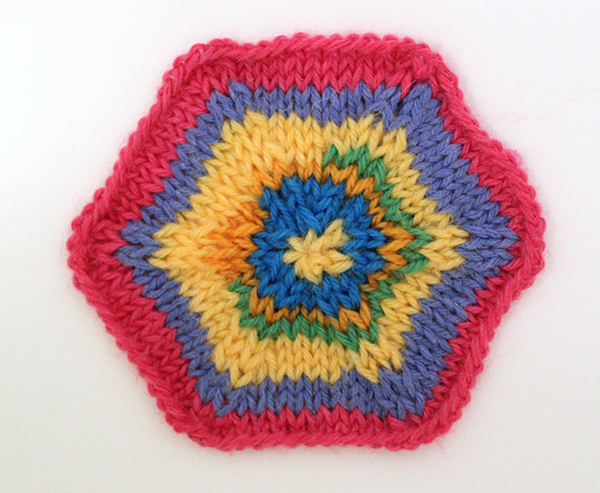 The decreases are in sets of six, which creates the hexagon. 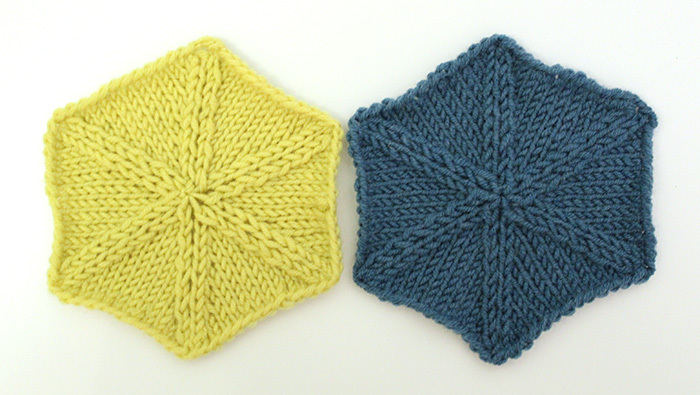 Using doubleknitting weight wool and size 4 mm needles my hexagons are 11 cm (4,3 in) in size.